Tipping point being a relative term! Remember when they told us global warming wouldn’t affect us for at least a century? What if methane releases in a rapidly warming couple of decades jump starts the cloudless tipping point time interval? As I commented on the other article about this. If this doesn’t scare the crap out of you, your status as a sentient being is in question. It may be X parts per million…It may be Y years in the future…It may lead to Z degrees increase…but no mention of the tipping point where it won’t happen? Is that tomorrow or was it yesterday? It has been shown time and time again that using the year 2100 is a joke. Come on sharp science guys, Fix It! Methane releases are a feature now. And this arcticle was published in 2011. If by “tipping point” you mean some kind or runaway to a Venus conditions, then nothing in the science indicates that such a thing exists - but this dissolution of low-mid-level clouds upon reaching 1200 ppm is the closest thing so far. And yes, it will take until 2100 to reach that point - but what does that have to do with the urgency of acting now? Even half this level is bad enough - and it takes hundreds of thousands of years for that CO2 to be taken back out of the atmosphere. Our job here is not about saving ourselves - the really bad stuff wont happen in any adult’s lifetime. The task is to save future generations over the hundreds to thousands of years from the present. I think we all secretly expect or at least hope that science and human ingenuity will somehow come to the rescue concerning climate change. Unfortunately we have a poor record when attempting to affect large scale systems and an even worse record of undoing those attempts that went awry. Relying on finding a ‘magic cure’ to fix things quick is a dubious comfort at best and a pipe dream destined to failure at worst. More likely we will come up with a series of fixes that temporarily fix but prove potentially even worse in the long run. I got all that, I didn’t express it well. ….“Given the current trajectory of climate policy and renewables, it seems unlikely.” - Wa Po reporter. I’m not interested in seeing the crap scared out of people, Iḿ interested in seeing them drop the neurotic crap ginned up by predators of capitalism; to see them loose any and all appetite for meaningless consumer crap fetishes and realizing that what they see in the mirror is only the vehicle that transports a soul being called to by countless other souls to turn this baby around! How can factories- especially abandoned factories, be cleaned up and turned into hydroponic greenhouses for local and regional food supply; how public banks can pull the plug on the Milton Friedman/ Elliot Abrams/ mustach and the bloviating Bolt. Let THEM eat yellow cake. Hi! You need to hear how things are on the engineering side, and we need to incorporate this side of the story into our political and economic demands. How to engineer a number of basic fixes isn’t going to be the hard part IFF we have engineers working on the problems plus lab money. That’s the hard part. The fossil fuel industry is going to release the well-engineered and well-invented end of the fossil fuel industry when we pry it from their boiling dead forelegs. Talk about an economic and political problem! Now, this projected “world without clouds” phenomenon is brand new to me right now, but it makes some sense. Huge desert areas have zero clouds most of the time. When an area such as the Dust Bowl has a drought, one feature of the drought is a massive loss of low-level humidity which means near-zero clouds, and so the drought tends to build upon itself. Now, about that tipping point: the short answer is, we’ve tipped. That forest fire is lit and it’s expanding. It just hasn’t come over the ridge above your town yet. What do we do with forest fires? We contain them! When it’s our lives and property, we don’t pretend that fire is a natural process. Rather, we send fire crews out to try to get the fire 30% contained. With climate change we want to put much less tonnage of greenhouse gases into the atmosphere, we want to improve nature’s ability to take tons of greenhouse gases out of the atmosphere, we want to stabilize the Arctic so that we’re not getting massive methane and CO2 releases from the tundra and from the Arctic continental shelves, and we want to preserve millions of species from extinction if we can. Even if your politician is taking major fossil fuel money, ask her why she’s not jumping on the other three necessities. 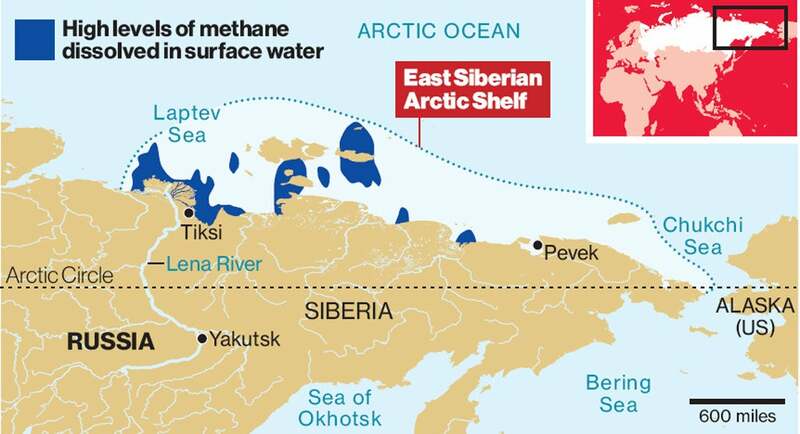 Did this study take into account methane releases from melting permafrost, which already place us at risk of a positive feedback loop if a tipping point is passed? The car manufacturers and petroleum industry walk hand in hand. This portends a lose-lose situation. The continuation of auto exhaust is killing the environment. The oil companies are too greedy to quit. That puts the auto makers in a bad financial spot, as the Chinese in five or so years will out produce the U.S. in electric car sales and the U.S. market will have to struggle mightily to recover, if ever. There’s another tipping point and that is melting tundra and ice caps. Ice reflects sunlight and frozen tundra traps huge amounts of methane gas beneath it, billions of tons of it, which has a Global warming potential in 20 years equal to 72 times CO2, and 25 times CO2 in 100 years. Without ice to reflect heat, and keep the water cool, and without frozen tundra to hold this powerful natural greenhouse gas trapped, temperatures will soar far higher without need for human contribution to do so. The debate goes on as to whether or not this point has already been reached. Sorry, we posted at the same time I think. I rarely hear this permafrost issue mentioned which is disconcerting because it plays a major role in accelerating rising temperatures. It seems like science has a habit of breaking things down into categories to try and understand them which serves to help up to a point, but its harder afterward to reassemble the pieces and understand how they interact together. Atmospheric science is therefore done in isolation of other studies like oceanic studies and permafrost etc. This is why I think that scientists are always alarmed at how much faster than their predictions things are occurring. There is systems theory, but it never took off and became mainstream, and I’ve never seen it applied to climate change. How should we factor in right wing excesses and capitalism? Our days are numbered. Passionately pursue a life of excellence. the really bad stuff wont happen in any adult’s lifetime. There is NO scientific basis to make any such Pollyanna assertion.